You’re hiking alone along a steep switchback trail in Washington’s Olympic Mountains, when suddenly you turn a corner and see a massive mountain goat, its black eyes trained upon you. A few years ago, a goat attacked and killed a man in this very park, and, at the thought, a trickle of sweat wends its way from your hairline to your collar. The goat is still looking at you. Then you remember that mountain goats aren’t native to these mountains, meaning that both it and you are relative newcomers here. But does that — should that — knowledge do anything to diminish the wildness of this encounter? Congress has the power to designate wilderness areas, but every wilderness lover has his or her own definition of “wild.” A few purists would see the non-native goat as a deal-breaker, but increasingly, many people define wilderness regardless of whether a particular landscape is “pristine,” or occupied by native or non-native species. Instead, they see wilderness simply as places that humans aren’t currently managing, whether it’s a remote mountain range or just an overlooked patch of pine trees by the railroad tracks. And this is true both of passionate, old-style wilderness lovers and of pragmatic, technophile greenies, as clearly evidenced by two new books. 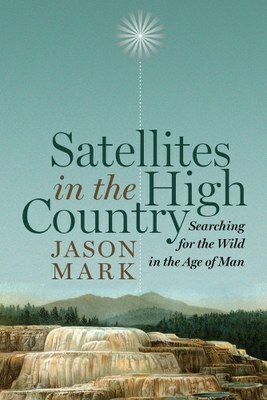 Both Pearce, the technology-loving pragmatic environmentalist, and Mark, the traditional wilderness lover, agree: Even in a world of overwhelming human influence, we shouldn’t intrude on every landscape with our well-intentioned sprays and shovels, poisoning weeds and relocating species. 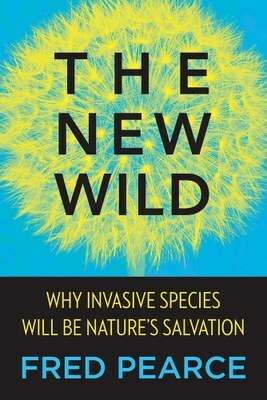 Both writers argue for keeping some places uncontrolled, unmanaged — wild, in perhaps the simplest sense of the word — as an arena for undirected evolution, as a traditional conservation practice, and as a good way to practice humility and retain essential mystery in the world. Both base their arguments for nonintervention in part on the notion that as the world changes, it is nature — not human beings — that will figure out how to adapt. By killing non-natives, planting disease-resistant trees or shooting invasive barred owls to save spotted ones, they say, we may inadvertently prevent the species-level evolution and ecosystem-level re-sorting that help create more resilient natural landscapes. Pearce uses science to bolster his case, picking apart the surprisingly thin evidence that non-natives cause lasting harm, except in a few cases (like the brown tree snake, which has destroyed most of Guam’s native birds). Mark’s arguments have a more ethical, spiritual and emotional flavor. Wilderness and wildness, he declares, are very good for the human soul. He says little about non-natives, but notes that he considers those introduced Olympic mountain goats to be indisputably wild, in part because as fierce, “feral” beasts, they are capable of killing us. The two writers’ arguments for letting nature take care of itself are compelling and make interesting back-to-back reading. But there’s one aspect of both books that will alienate many readers: Both authors accept extinction as inevitable, to a certain extent. And many environmentalists will find it hard to accept that an abstract notion of resilient wildness is more important than, say, the survival of the Arctic fox. As Mark says, hewing to a policy of nonintervention as ecosystems change and species wink out “will require an emotional fortitude to which we are unaccustomed, an almost Buddhist sort of nonattachment.” We should rather restrict our emotional engagement to immediate and instinctive experiences in the wilderness itself, whether that be awe, reverence, or — in the case of coming face-to-face a mountain goat — naked fear. Emma Marris is an environmental writer. She lives in Klamath Falls, Oregon.